So… you’ve decided that all the statistics around why you need to use video in your marketing are compelling enough that you’re going to invest in this medium. That’s great news! Videos will help your emails get opened more (200%++ more), they’ll keep people on your website longer and they’ll help you make sales. But what about the process itself? 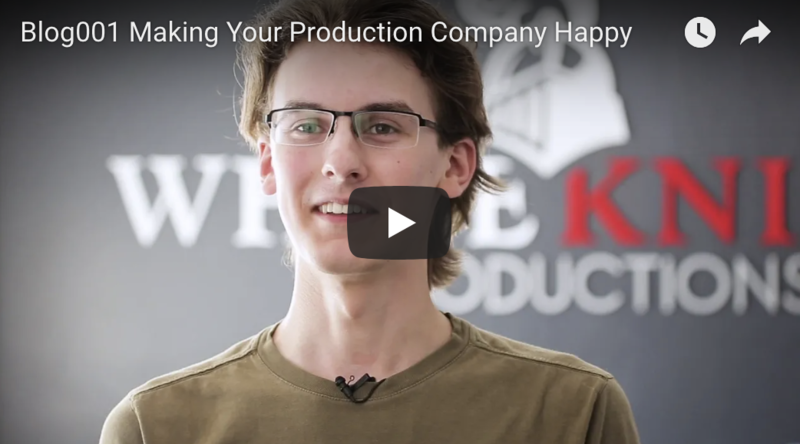 Hiring a reputable firm to make your video is the first part of the equation, but then you have a responsibility to show up and hold up your part of the bargain. This means you’ll have to share your thoughts on important messaging, ideal locations for shooting and the people from your company who are going to be best-suited to being on camera. The video team is not being lazy when they ask for your assistance with all of these items… They are being smart because no outside company is ever going to know your business as well as you do. That said, the more the video crew gets to work with you the more valuable they will become because over time they will develop an understanding of your brand, language and culture. Yes, the video crew should be well prepared. They should show up on time, with the right gear and understanding of the job at hand, but having an insider’s view to make sure that what’s being captured by the camera is reflective of the desired image you’re looking to portray – that is invaluable. Support your video team but don’t micromanage them. You hired them because they’re good at their job. They know how to set up shots and conduct interviews. Collaborate and give feedback, but also be willing to trust in the team you hired. Speaking of feedback, all directives to the video team should be funneled through a single point of contact. It can be confusing to get feedback from too many sources. Everyone has an opinion, but not every opinion should be acted upon. Someone from the client side must be willing to take the lead and make decisions on this. Know that every change you ask for may not be possible within the original scope of work or budget. Particularly with animation projects, seemingly simple changes (to the layperson) can actually take many hours of work to implement. If a crew is showing up to shoot at your location, have a staging area set aside where they can store their gear. If you’re planning to do interviews, a large, quiet and visually attractive room is usually ideal. Having access to the HVAC controls is helpful as fan noise can be distracting on video. Most people who are not used to being on camera take a little time to warm up and relax. A video shoot can take longer than expected, especially when you take into account the time that is needed to set up and break down the equipment and work with the interviewee to get the desired response from them. Be patient. The end product will be worth it!